Older passengers will no longer have to go through the tedious TSA shoe ritual at airports this summer. 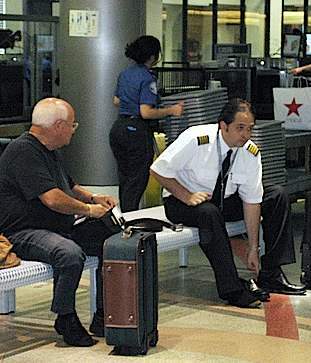 The Transportation Safety Administration is exempting passengers 75 years and older from removing shoes, belts and coats at airport screening stations at LaGuardia, JFK and Newark this weekend and will roll out the new rules at all airports this summer. The TSA granted kids 12 and under the same expedited screening exemptions at all of the nation’s airports last fall.